Just a note to say thank you for all your help with organising the party last Saturday evening. Everything went very smoothly and to plan thanks to all your assistance. 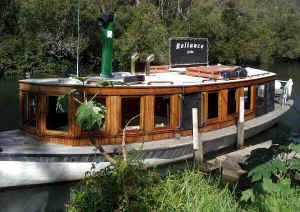 The boat was great and everybody seemed to have a lovely time. “Just wanted to drop you a quick note to say thank you. Your services were much appreciated. I found you and your company provided me with a quick solution, not to mention the time you saved me with your experience and knowledge of the boats available for my needs. The Boat you recommended to me was excellent. Sunday was simply wonderful !!!!! humorous, and made all of our guests feel most welcome,……….they made our day very special. 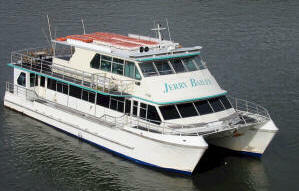 “Just a quick note to say THANK YOU for your help in relation to the boat booking. 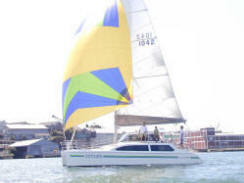 The weather, the boat and Peter (Summerwind) were all great and everyone thoroughly enjoyed the day. “Just a quick note to thank you for all of your help and advice we had an awesome holiday and are thinking of doing it again in the future. I just wanted to pass on my thanks to yourself, Michael and Bill. I had a brilliant time on Inevitability on Sat night, and my guests all loved it as well. The whole experience was handled so well, and I would definitely recommend it to any of my friends who are planning an event. send off in itself (so most of them were pretty well behaved). were fantastic and should be commended for the way they run their boat. Food, friendliness and service etc were all excellent. David even ran one of the guests who had to leave early all the way across the harbour to Rushcutters Bay in their rubber ducky! 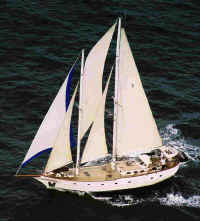 you’ to Sail Australia and the crew of “Sydney”. 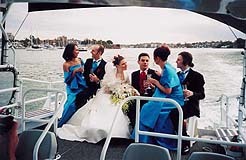 Our champagne reception on board “Sydney” was the absolute highlight of our wedding day. There is nothing in the world that can beat the beauty of a crisp winters sunset out on Sydney Harbour! The boat was amazing and I will be forever thankful that you took the time out to organise one that could handle the impending stormy weather – have a look at the photos,there wasn’t a cloud in sight! Please thank the staff whom were friendly, attentive and professional. They really took superb care of all our guests and there was never a champagne glass empty! 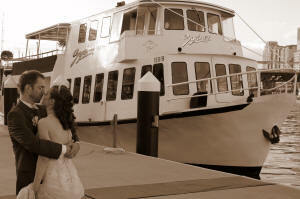 We truly want to thank Sail Australia for helping to make our Wedding Day such a special occasion. We found you so lovely, helpful & professional from the moment we first contacted you and we are thankful for the memorable moments we shared with our Bridal Party on the “Ultimate 1” on the day. The relaxing moments and fun times with the bridal party during our trip from Watsons Bay to the reception at L’Aqua Darling Harbour is something we will treasure for a lifetime, we really would like to extend our thanks to our driver also who was incredibly friendly, professional &kept our pageboy Jordan entertained for the entire trip! We won’t hesitate to recommend you to any of our friends who are also at this wonderful stage in their lives and who may require your friendly service, fantastic boats and affordable pricing. 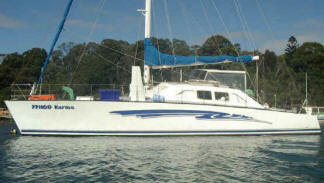 “I just wanted to drop you a quick line and say what a great time we had on the Summerwind last weekend. The boat was perfect for two families – thanks for the suggestion. We will definitely be contacting you again when we have overseas visitors. Thanks. 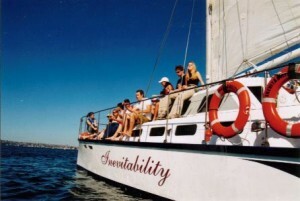 “Just a quick note to say thank you very much for organising our Social Sail on Sydney Harbour. We had a very enjoyable afternoon and a special thanks to Mikkel Brinch our skipper.